Only two rinks in Australia fit the criteria for hosting a major event – Melbourne or Newcastle. Photos: Supplied. 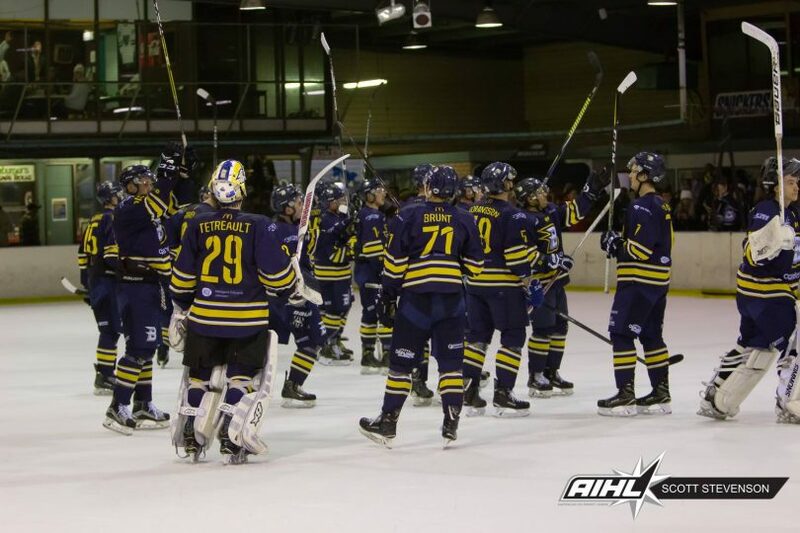 They may be one of the greatest teams the Australian Ice Hockey League has ever seen but the Canberra Braves will not play the finals at home this weekend, despite winning the minor premiership with five games to spare. Due to the Cave’s small venue and a lack of corporate and media facilities, Canberra will not be able to host the AIHL finals this weekend and will instead travel to Melbourne for their sudden death semi-final against the Melbourne Mustangs. The Brave’s stellar campaign has highlighted the rising need for a new ice rink in the nation’s capital, with fans forced to wait up to two hours in the queue to see their beloved Braves play at the Phillip Swimming and Ice Skating Centre. Brave director Warren Apps said the need for a new facility in Canberra has been talked about for more than a decade, but over recent years it has become more necessary to escalate those conversations because the current facility is nearing the end of its useful life. “It is an interesting one for us because we love that venue and it is really part of our brand and it does create a unique atmosphere but we know if we want to have growth and sustainability, there needs to be an investment into a new venue, and not just for us but for a whole range of ice sports,” Mr Apps said. 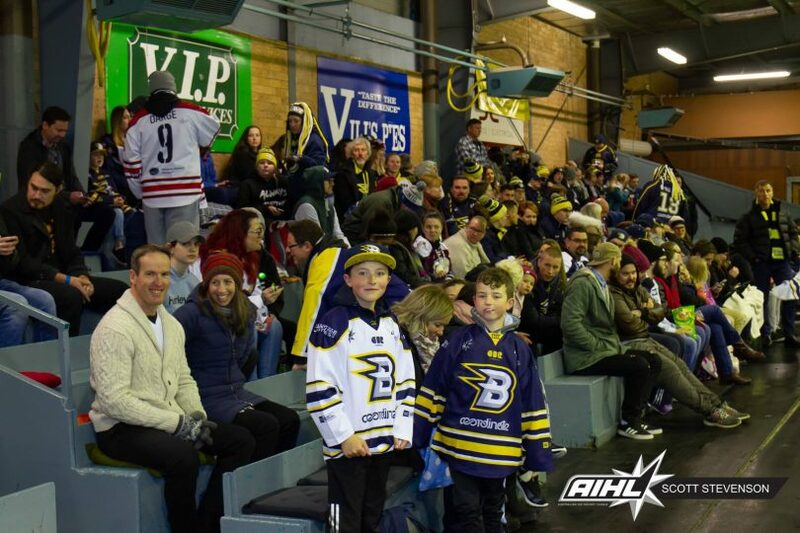 Mr Apps believes there is “untapped potential” to grow the Braves’ supporter base and a new ice venue would see ice hockey grow as a winter sport in the ACT. “There is sometimes a wait for up to two hours for home games, there is no allocated seating so that does keep a lot of people away. So if we had the right kind of spectator facility, I think we would open a whole new audience,” he said. While there has been incredible growth at a junior level, Mr Apps said there is a lack of available ice time for juniors in the local competitions but thinks the size of Canberra only needs one key ice facility. The ACT Ice Sports Federation is currently working with the ACT Government to provide a venue with two ice rinks, which would allow one ice rink to be used for recreational use while the other could be used for local sports like ice skating, broomball, hockey, figure skating etc. But Mr Apps said a key talking point for the club is how to maintain the current atmosphere at home games and to find a balance where the facility does not go too big. The Braves won 24 of 28 regular season matches and shattered the most competition points record in an AIHL season. The only thing standing in the way of a third straight grand final appearance is the fourth-ranked Mustangs. But the Brave’s director said their past 28 games stand for nothing as they head into a do-or-die weekend. AIHL Finals – Saturday: Semi-finals – Canberra Brave v Melbourne Mustangs, 3 pm. Perth Thunder v Sydney Bears, 6 pm. Sunday: Grand final – Winner of semi-final 1 v Winner of semi-final 2, 3 pm. Football in Canberra – What’s on this weekend?